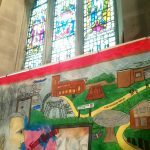 The Watkin Banner was created by children from St. Wilfrid’s Primary School with the help of Manchester based artist, Jamie Rennie (JME-DZYNZ). 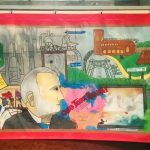 The initial idea came about as a way of celebrating the Watkins lives in a bright and visual way while offering some portability so the Friends can use it at events and parades. 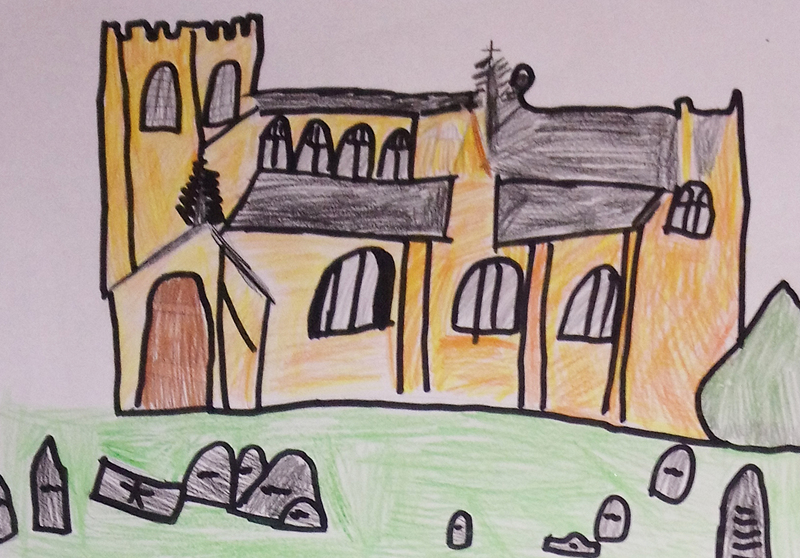 It also marks the success of the HLF project while continuing the Watkins deep links with St. Wilfrid’s Church. 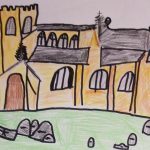 They worshipped there, the family graves are there, Edward helped pay for the renovation and there is even a Watkin stained glass window. 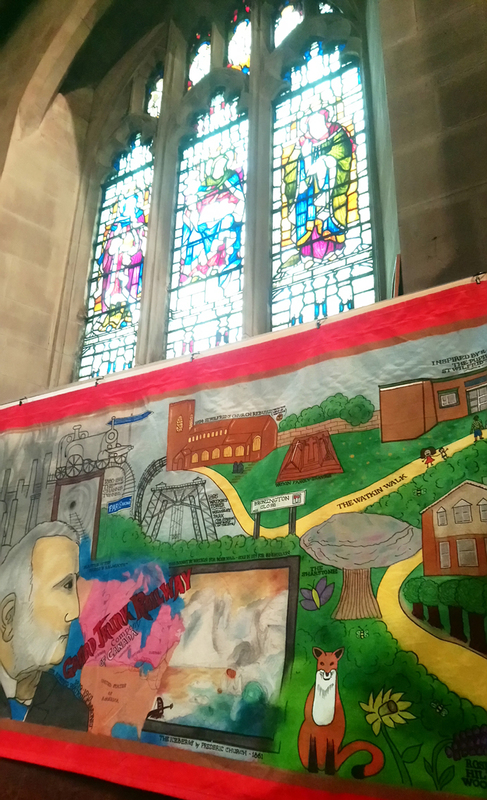 The images on the banner depict key moments in the Watkins story with a little bit of a bias to the ones the pupils at St. Wilfrid’s found the most exciting! 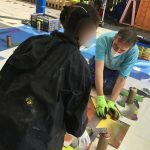 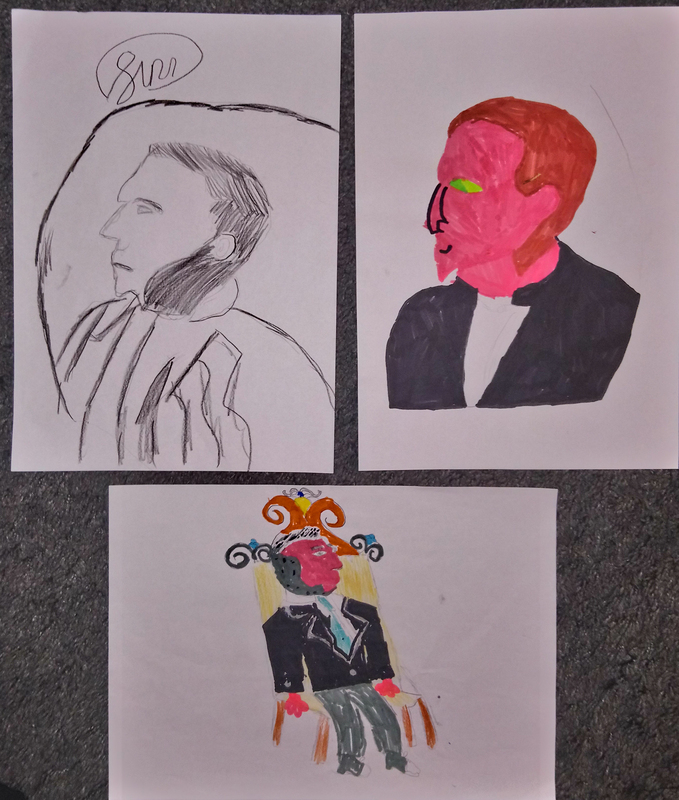 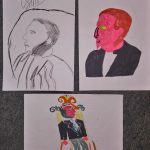 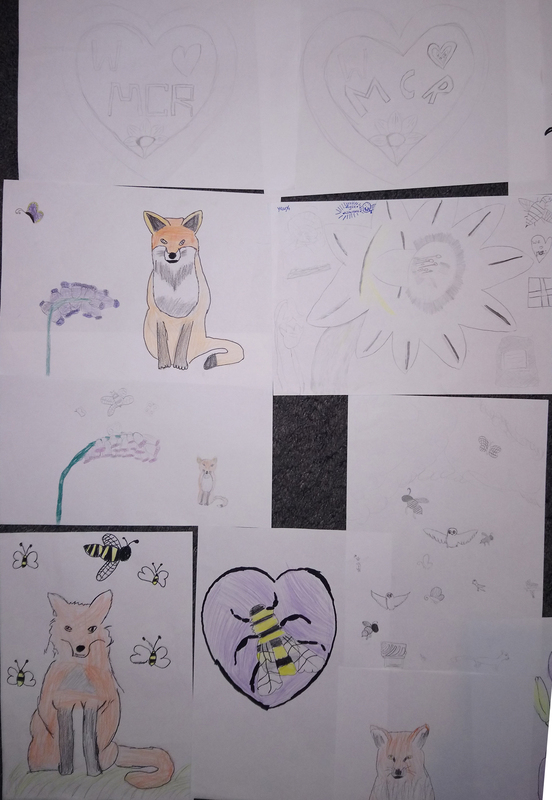 The images below show some of the pictures created by the pupils and the drawing and painting workshops in progress. 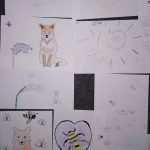 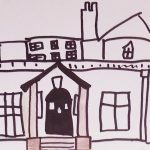 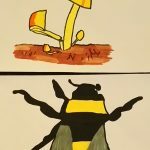 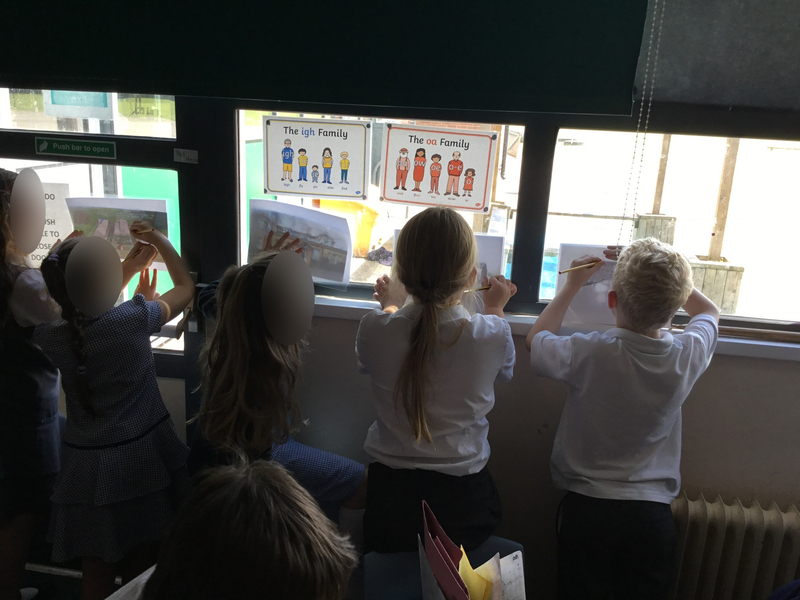 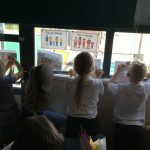 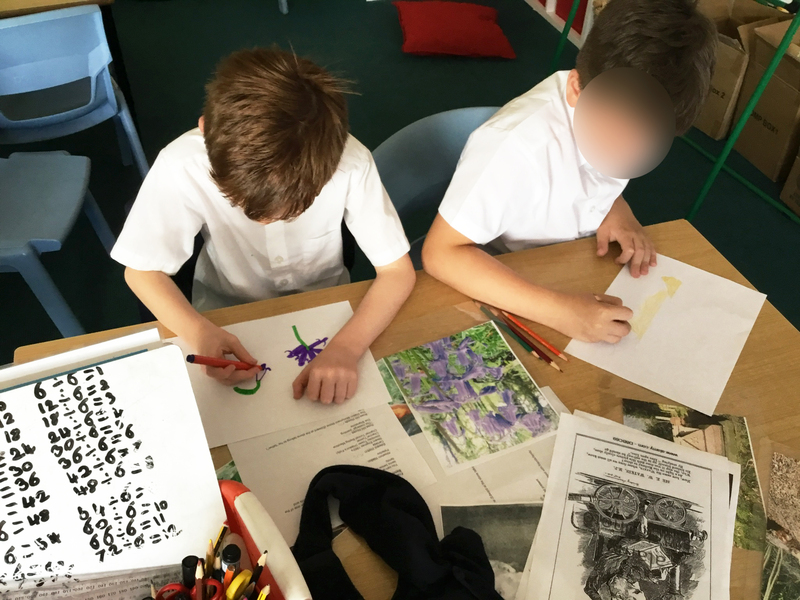 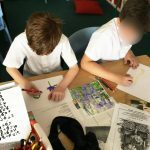 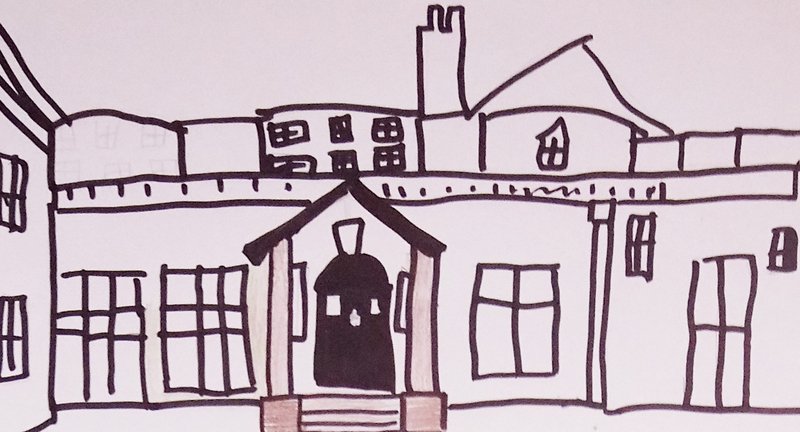 The artist worked with four classes at the school to create drawings of the various stories (Peterloo, Anti-Corn Laws, Northenden, Trains, Canada, Wembley Tower and the Icebergs) and the living monuments to the Watkins (the woods, the memorial stone, the graves, Rose Hill House). 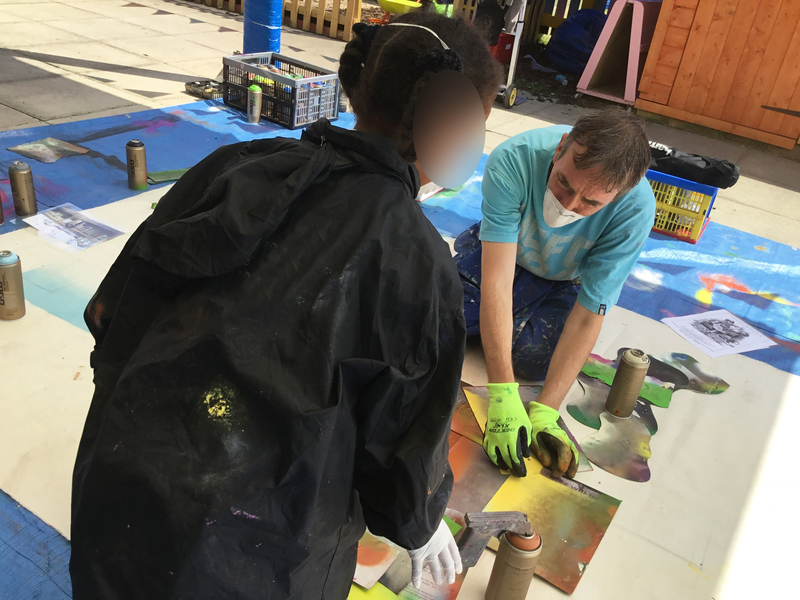 The drawings were then recreated onto the banner using a combination of aerosols, inks and paint and finally finished off by the artist. 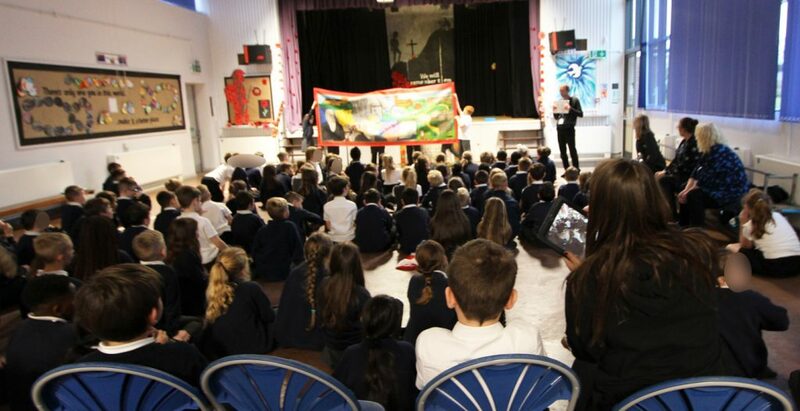 After working with the children the banner was at the stage below. 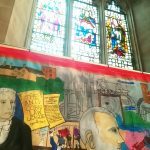 Early in 2019 the banner was presented to St. Wilfrids School & the Church at two ceremonies to mark the occasion and to thank all the people that were involved. 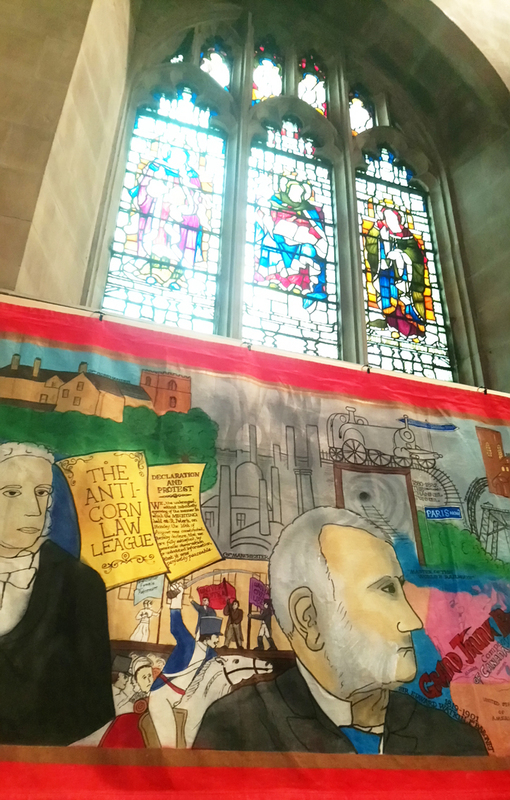 It also took a star turn at our HLF celebration event at the end of the project itself. 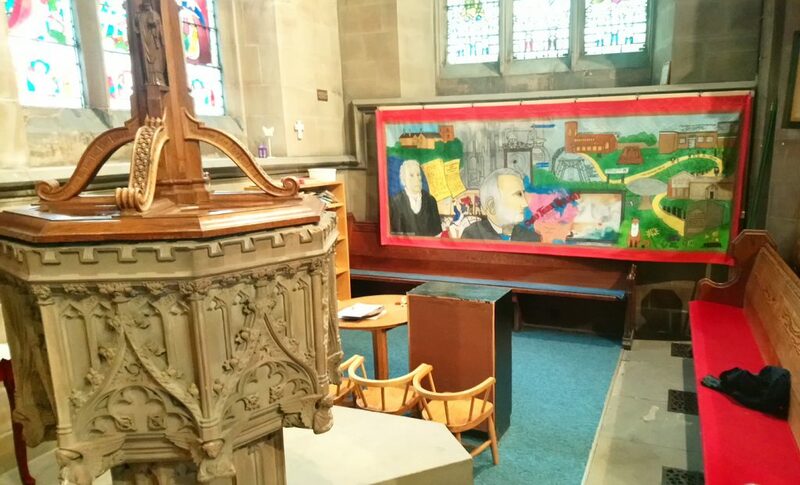 The banner hangs at St. Wilfrid’s in the childrens’ corner by the Watkin window. 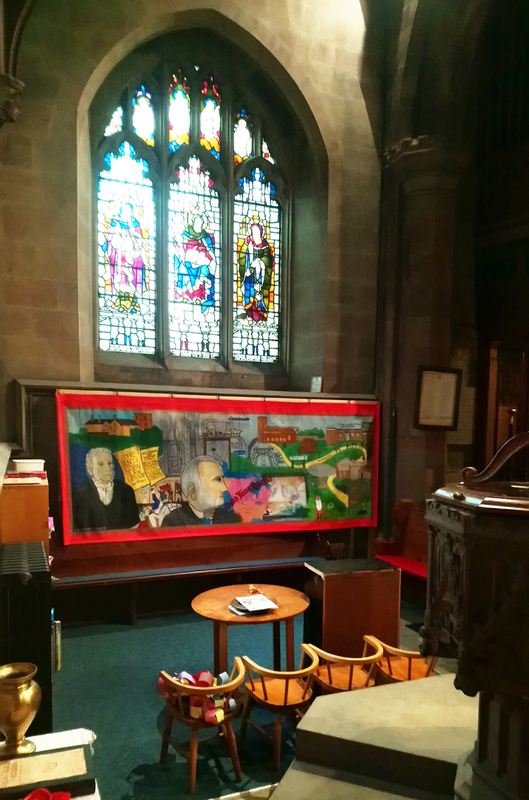 The church is usually open after Sunday services for viewing but it is also accessible at other times. 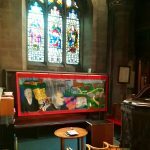 Please contact us or the church for more details.